There may come a moment when you feel like you have this investing thing all figured out. You've made some great stock picks and your portfolio is going gangbusters. But are you letting your confidence get the best of you and your investments? Being confident is OK. You need some confidence in yourself to invest in the first place. But being too cocky can lead you to make bad investment choices, and have a blind spot to your own weaknesses. 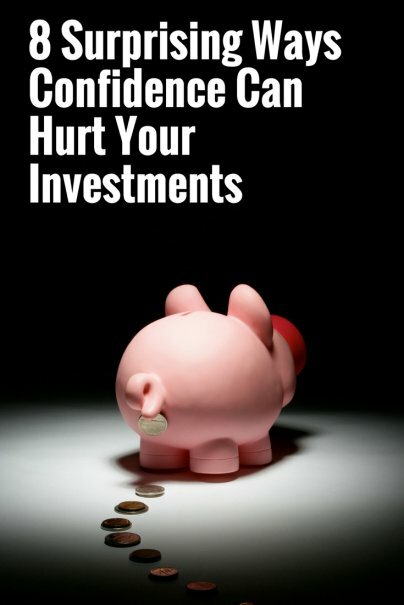 Here are some of the ways confidence may actually hurt your investments. Maybe you bought shares of Facebook when they were trading below $25, and have made a killing on the investment since. You like to hold up that one purchase as proof of your genius as an investor. But are you forgetting about the other investments that didn't do so well? On balance, are you really any smarter than anyone else out there? Don't let your memory of one great decision delude you into thinking you have a special gift as an investor. Doing so can make you believe that every stock will eventually turn out to be a winner, even if there's no rational basis for your confidence. While it's true that history shows the stock market has gone up consistently over time, it's still important to protect your investments against a possible downturn. As you get older and approach retirement age, consider shifting some investments into less volatile instruments, such as bonds, even if you believe the market will continue to go up. It's also important to avoid being too optimistic about markets in the short term. If you're investing money that you need in a year or two, the stock market may not be the best place to put it. Having faith in the market is crucial to building wealth over time, but protecting your investments against a down period is also part of the formula for success. So you've had some great success with some of your investments, and decide to buy more shares of those that have done the best. There's nothing wrong with buying a lot of something if it performs well for you, but it's important to keep your overall portfolio from getting out of whack. This means not being too heavily invested in one particular stock or group of stocks. Investing is not without risk, and you must be comfortable with that if you plan to accumulate wealth over time. But don't be too tempted to take on extra risk just to chase higher returns. It's one thing to invest heavily in stocks, but it can be financial suicide to go after notoriously volatile investments, or to engage in risky practices like trading on margin or buying and selling options. The best approach is to build a portfolio that roughly performs in line with the whole stock market, ensuring that you'll likely make money over time but will avoid catastrophic downturns that wipe out your whole savings. Without a checkup, you may be unaware that certain investments are underperforming. You might allow your portfolio to become unbalanced, leaving you under- or over-invested in some areas. You may be left unaware of company sales or mergers that result in changes to your investment mix. Don't get cocky; the stock market has gone up reliably over time, but your investments still need some tending to from time to time. Let's face it: Buying and selling stocks can be fun. And when you feel confident in your stock picking abilities, you'll feel the urge to trade stocks frequently. You may even feel like you can "time" the market. But trading frequently has financial consequences. First, if your stocks are in a taxable brokerage account, you'll end up paying tax on any gains when you sell. Second, most brokerage firms charge a commission for every trade. These expenses can put a dent in the value of your portfolio. Years ago, you bought 100 shares of OmniCorp and it netted you a massive return in the first year. You still have some of those shares, but the company has since been struggling, and may even declare bankruptcy. But still, you refuse to cut your losses and sell, because you made so much money from this stock early on. You are utterly convinced the company will turn things around, despite all evidence to the contrary. This is a dangerous mentality to have, and can cost you plenty in the long run.